The Maths curriculum at Denbigh strives to equip children with the number and problem solving skills that they will need to succeed in, and beyond their school years. We use a variety of teaching and learning skills to support our children’s learning throughout the Maths curriculum which encompasses calculation methods, measure, fractions, data handling, shape, counting and using and applying skills in real life contexts. Our staff aim to enthuse and inspire a love of Maths through a range of activities which include practical Maths sessions, providing children with relevant problem solving opportunities and supporting children to see how Maths is woven throughout our everyday lives. A cross curricular approach to Maths is in place to allow children have the opportunity to apply the skills learned in Maths lessons through other areas, such as STEM, Topic, Art, DT etc. Educational trips work alongside our Maths curriculum to support the teaching and learning, and give children real-life experiences to draw on in school. 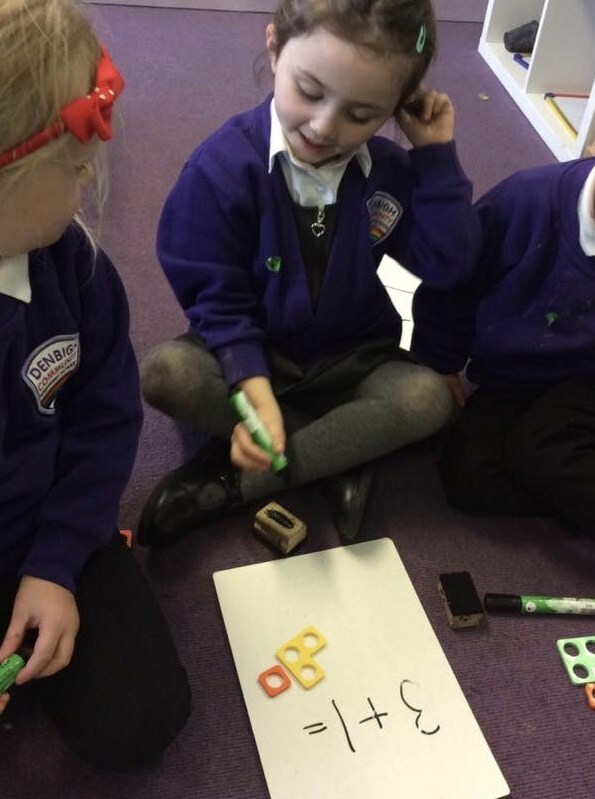 From Years 1 to 4 the children are taught using the Maths No Problem scheme of work which allows children to develop their thinking and reasoning skills from the off. Every day a lesson begins with an anchor task (a hook) which prompts the children to think and discuss how a solution to the problem can be reached. All the methods the children suggest are given due consideration before we explore the most efficient method to use. The children then practice the required skill before applying this in solving more problems and challenges. Lessons build upon previous skills taught to ensure children have a secure knowledge of all areas of maths and can use a range of calculation methods fluently. In Years 5 and 6 teachers follow a similar lesson structure but plan their own activities for the children to undertake. In KS2 Maths lessons are ‘set’ so that all learners are accessing Maths at their level with support and challenge built in throughout. Children of all ages are challenged to extend their learning and to ensure they can reason about number. Indeed a great deal of Maths lessons involve a lot of discussion, giving children the opportunity to share their thinking and explain how they reached a conclusion. At Denbigh we feel that ‘a quiet Maths lesson is a suspicious Maths lesson’. We actively encourage our pupils to discuss, to question, to debate, to reason and to consider ‘what if?’. Throughout all strands of Maths, ICT is used to engage, enthuse, present and document the children’s learning. It is led by the children, interests them and is memorable to them. Children are talking, laughing, engaged and enjoying Maths through a range of interactive and practical activities. Children are actively involved in their own learning, asking questions, looking for the answers and keen to challenge themselves further. Maths is differentiated and inclusive with children making progress throughout the lesson. Good quality assessment and Assessment for Learning is used to inform planning and builds on children’s prior learning. If you would like to support your child with their learning journey, then please take the time to read our ‘Maths Parents Booklets’. For more information please ask to speak to Mrs Candlish. Wowsers. Two more have joined the elite 55 club. These children are amazing! Maiya was so buzzing! Well done everyone! Wow! Three more dinos have joined our prestigious 55 club. We are hot to trot!!!! Year 1 Panda class have had a brilliant time using water in our Volume and Capacity chapter of our Maths No Problem books. We played a game to see who could fill the beakers first using smaller beakers and then we predicted how many units (cups) it would take to fill a range of beakers. We tested out our predictions to see if we were right! Great work! The dinos loved showing off their handwriting and times table knowledge to their parents this morning. Of course we had to fit in a GoNoodle. Whoop whoop. We have three more members in our elite times table club. So proud of these children. The last level really tested them but they have managed it in the end. Onwards now to the 27 club.